DALLAS–(BUSINESS WIRE)–Flowserve Corporation, (NYSE: FLS), a leading provider of flow control products and services for the global infrastructure markets, announced today that Dr. Tauseef Salma will join Flowserve as Vice President, Marketing & Technology, beginning Monday, February 11. Dr. Salma will join Flowserve from Baker Hughes, a GE Company, where she served as Vice President, Oilfield and Industrial Chemicals, since 2017, as well as held various roles of increasing responsibility, including Vice President, Enterprise Technology. 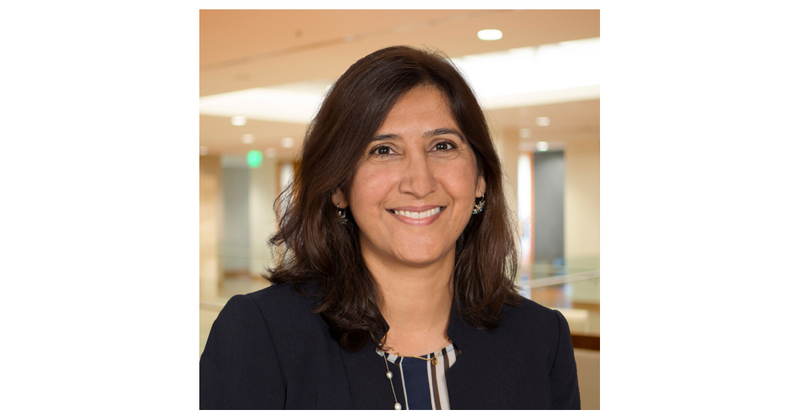 “With Tauseef’s extensive technology background and long-term experience in industries we serve, I am very confident that she is the right person to drive our technology development as well as the strategy around our market-led approach to innovation in our products, services and customer experience,” said Scott Rowe, Flowserve President and Chief Executive Officer. Dr. Tauseef brings more than 21 years of oilfield services experience to Flowserve, with extensive knowledge in oilfield technology development, applications, engineering and product lines, and holds four U.S. patents, a doctorate in Chemical Engineering from Rice University, and a bachelor’s degree in Chemical Engineering from the University of Engineering and Technology in Lahore, Pakistan. About Flowserve: Flowserve Corp. is one of the world’s leading providers of fluid motion and control products and services. Operating in more than 55 countries, the company produces engineered and industrial pumps, seals and valves as well as a range of related flow management services. More information about Flowserve can be obtained by visiting the company’s Web site at www.flowserve.com. Safe Harbor Statement: This news release includes forward-looking statements within the meaning of Section 27A of the Securities Act of 1933 and Section 21E of the Securities Exchange Act of 1934, which are made pursuant to the safe harbor provisions of the Private Securities Litigation Reform Act of 1995, as amended. Words or phrases such as “may,” “should,” “expects,” “could,” “intends,” “plans,” “anticipates,” “estimates,” “believes,” “forecasts,” “predicts” or other similar expressions are intended to identify forward-looking statements, which include, without limitation, earnings forecasts, statements relating to our business strategy and statements of expectations, beliefs, future plans and strategies and anticipated developments concerning our industry, business, operations and financial performance and condition. The forward-looking statements included in this news release are based on our current expectations, projections, estimates and assumptions. These statements are only predictions, not guarantees. Such forward-looking statements are subject to numerous risks and uncertainties that are difficult to predict. These risks and uncertainties may cause actual results to differ materially from what is forecast in such forward-looking statements, and include, without limitation, the following: a portion of our bookings may not lead to completed sales, and our ability to convert bookings into revenues at acceptable profit margins; changes in global economic conditions and the potential for unexpected cancellations or delays of customer orders in our reported backlog; our dependence on our customers’ ability to make required capital investment and maintenance expenditures; risks associated with cost overruns on fixed-fee projects and in taking customer orders for large complex custom engineered products; the substantial dependence of our sales on the success of the oil and gas, chemical, power generation and water management industries; the adverse impact of volatile raw materials prices on our products and operating margins; our ability to execute and realize the expected financial benefits from our strategic manufacturing optimization and realignment initiatives; economic, political and other risks associated with our international operations, including military actions or trade embargoes that could affect customer markets, particularly Middle Eastern markets and global oil and gas producers, and non-compliance with U.S. export/re-export control, foreign corrupt practice laws, economic sanctions and import laws and regulations; increased aging and slower collection of receivables, particularly in Latin America and other emerging markets; our exposure to fluctuations in foreign currency exchange rates, including in hyperinflationary countries such as Venezuela; our furnishing of products and services to nuclear power plant facilities and other critical processes; potential adverse consequences resulting from litigation to which we are a party, such as litigation involving asbestos-containing material claims; a foreign government investigation regarding our participation in the United Nations Oil-for-Food Program; expectations regarding acquisitions and the integration of acquired businesses; our ability to anticipate and manage cybersecurity risk, including the risk of potential business disruptions or financial losses; our relative geographical profitability and its impact on our utilization of deferred tax assets, including foreign tax credits; the potential adverse impact of an impairment in the carrying value of goodwill or other intangible assets; our dependence upon third-party suppliers whose failure to perform timely could adversely affect our business operations; the highly competitive nature of the markets in which we operate; environmental compliance costs and liabilities; potential work stoppages and other labor matters; our inability to protect our intellectual property in the U.S., as well as in foreign countries; obligations under our defined benefit pension plans; and other factors described from time to time in our filings with the Securities and Exchange Commission. All forward-looking statements included in this news release are based on information available to us on the date hereof, and we assume no obligation to update any forward-looking statement.